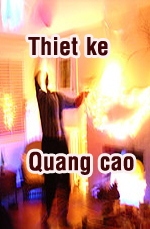 Gia công phần mềm là một trong những định hướng phát triển cho các đối tác nước ngoài về lĩnh vực CNTT-TT và các phần mềm nhúng, hệ thống nhúng. MinhViet JSC is a joint stock company of multi-sector business, specializing mainly in developing Application software. MV JSC was found in July 2000, MV JSC works closely with Companies in the Vietnam and Oversea and hand in hand with many business partners in the Oversea and Vietnam Market. Minh Viet Joint Stock Company - MV JSC is an international software development and IT services team. Its core competence in programming, projects handling and change management allows the delivery of the products within budget, on time and to whatever places around the globe. Minh Viet Joint Stock Company - MV JSC is a global leader in network security applications software in Viet Nam. With Our modern processes of software development make our software product and order made software the outstanding characteristics in quality, convenience at reasonable price. They are widely applied in various fields, affirming its reputation to customers at home and aboard. Professional services and software development are the core business of MINH VIET JOINT STOCK COMPANY - MV JSC. We work with International and National IT companies to successfully develop customized software and customer applications.